The Premier League big boys will already have one eye on the impending reopening of the transfer market, with the likes of Manchester City, Arsenal, Tottenham, Chelsea and Liverpool looking to strengthen their squads. A continued source of young talent is Holland’s Eredivisie, which has produced and nurtured such talents as Robin van Persie and Luis Suarez. Here are five exciting talents from the Dutch top flight that would make an impact in England. The Eredivisie’s top goalscorer this season with an unprecedented 30 goals in 27 games, Bony has been the catalyst for Vitesse Arnhem’s unexpected title challenge. The Ivory Coast international is the latest strong and quick forward from his nation, and looks sure to move to a bigger club this summer. Newcastle have been linked the African hitman, but the likes of Chelsea, Arsenal and Tottenham should both be monitoring Bony too. Feyenoord’s captain and the leader of a home-grown revival in Rotterdam under Ronald Koeman. The assertive centre-half is one of the brightest defensive prospects in European football, and has made inroads into the Netherlands international set-up. 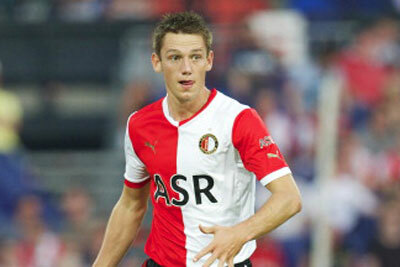 At 21-years-old, De Vrij looks set to be a top performer and would suit the physical style of English football. Arsenal, Liverpool and even Manchester United should be keeping tabs on De Vrij, who looks destined for greatness. The Iceland international has started to show up in scouting reports around Europe in the last 12 months due to his eye for goal and confidence on the ball. A loan spell with Helsingborg and 12 goals in 17 games earned him a move to Heerenveen in the off-season, and the Scandinavian has proved a bargain purchase. 24 Eredivisie goals in 28 outings is an excellent return for the 24-year-old. Heerenveen are very much a selling club and as such Finnbogason should be available at a bargain price. Liverpool and Tottenham could bolster their attacking options here, while a number of mid-range Premier League sides would have a prodigious talent on their hands. Arguably the best player in Dutch football at the moment, Eriksen has been repeatedly linked with a move away from Ajax, with England, Italy or Spain the destination. The Denmark international has played a significant role in the Amsterdam club’s title defence, and was influential in their recent 3-2 away win over PSV. Manchester United, Liverpool and Tottenham have been linked with Eriksen in the past, however the Dane has the ability to play at any of the big clubs. PSV’s central midfield of veteran Mark van Bommel and Strootman is much admired in Holland, and the 23-year-old continues to grow in stature. Now a firm fixture in the Netherlands international squad with 18 caps, the box-to-box midfielder has outgrown the Eredivisie and would be a fantastic purchase for a number of English clubs. Manchester United have not had a dominant central midfielder enforcer since Roy Keane – Strootman could be the man to fill the void. Arsenal would also seem like a match given that Arsene Wenger has failed to replace Alex Song. October 25th, 2010 was the lowest point in the proud history of Dutch giants Feyenoord. They suffered an unfathomable 10-0 (yes, ten!) loss away to rivals PSV. Eight of those goals came in the second half as a young and incompetent team fell to pieces. This was the nadir in a disaster of a season and a turbulent few years. They ended that season in 10th place in the Eredivisie, a previously unthinkably low rank for once of Dutch football’s ‘Big Three’. Ajax, PSV & Feyenoord have historically dominated Dutch football, but Feyenoord’s last league win came in 1999. A seventh-placed finish in 2006/7 was a warning of things to come. The club bounced around outside the top six with an ever-increasing wage bill, racking up debts chasing former glories and the Champions League. In the end the team was packed with expensive journeymen who had no affinity with the club. They had sunk in to malaise on the field and were facing impending financial doom off it. This spending became ever-more unsustainable as the club failed to find a way back to the Champions League. In 2010 Feyenoord’s debts had risen to €26 million and they were placed under a supervision order from the Dutch FA with an ultimatum that they had to get their financial house in order or face serious sanctions. This meant that on the pitch the club had to save money by purging all the high earners and make money by selling any players that could command a high transfer fee. They had already been slashing the wage bill radically and then in the summer of 2011 they sold their three key players; Leroy Fer, Georginio Wijnaldum and Andre Bahia. These sales made over €10 million but left a big hole in an already inferior team. They could not spend any of that money on ready-made replacements, so had to turn to their forgotten youth team. 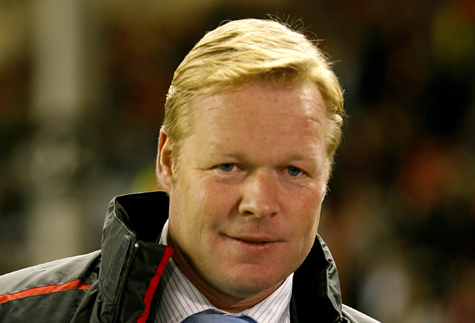 Newly appointed manager Ronald Koeman simply had to work with what the club could produce themselves, but he has done an incredible job of doing so. A sprinkling of youngsters had made their way in to the first team picture in 2010/11 by necessity rather than readiness, but the experience they garnered was vital. Koeman blended these youngsters with even more young blood from the academy and their results in 2011/12 baffled and delighted in equal measure. Koeman deployed a unit that was predominantly made up of teenagers with the remaining experienced heads and led them to an unbelievable second place in the league; their highest finish in 11 years. Before this season, the remaining experienced players he had were all sold, which again meant that he had to restock with more home-grown players. At the time of writing the club are in third, only three points behind leaders PSV, who they recently beat. This is far ahead of schedule, with the real bounty of young players still breaking in to the first team. This new batch is led by Jean-Paul Boetius; the 18-year-old recently promoted to the first team, who brings his relentless running, skill, pace and goals to the wide positions. He will soon be followed by strong centre back Terence Kongolo, skilful midfielder Tony Trindade de Vilhena and rapid striker Anass Achahbar, all of whom are in their teens, born locally and destined for great things. The two big home-grown stars are club captain Stefan de Vrij, born a couple of miles away from Rotterdam and the mercurial midfield leader Jordy Clasie, born in nearby Haarlem. These two are the unquestioned leaders and poster boys of the new Feyenoord. Rotterdam is a working class port city, and they hold ‘their own’ in a special high regard. They share this reverential attitude for local lads, and indeed their club anthem ‘You’ll Never Walk Alone’, with Liverpool. 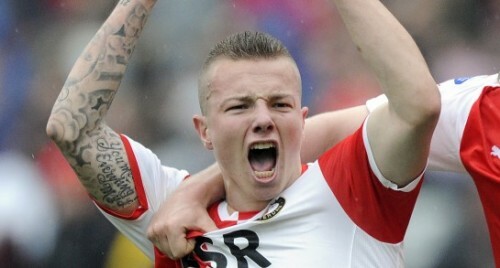 Clasie is a tough street kid who the fans identify with. He has Feyenoord is in his core. De Vrij was made club captain before this season, quite something for a 20-year-old, but he embodies what the fans expect from their players. They were disaffected by watching overpaid players with no connection to the club dragging their name through the mud. Now that they have a band of kids, most of whom come from the same streets and same types of families as they do to support. The noise is ferocious at de Kuip and they haven’t lost at home since November 2011. The fans don’t like what they see as the haughty fans of Ajax and PSV and so seeing local working class boys taking the fight for the league title straight at them is filling the city with pride. The Feyenoord renaissance bares many striking resemblances to Borussia Dortmund’s revival. Like Dortmund they turned to their overlooked youth system only when forced to in order to avoid financial capitulation, and like the Bundesliga champins they have unearthed a crop of locally born and supremely talented youngsters that the vociferous support are willing to get behind. Both teams have mixed their home-growns with some canny and inexpensive signings who perfectly fit the spirit of the side. For Dortmund’s Kevin Grosskreutz see Feyenoord’s Daryl Janmaat or Lex Immers. Both teams also play in a remarkably similar fashion. Feyenoord deploy a 4-3-3 system with tricky wide forwards supporting a central linking striker, all of whom press high up the pitch. The midfield are all ball players but can also put their foot in if they need to. In defence the toughness of Joris Mathijsen compliments the elegance of de Vrij and both full backs are solid in defence and good in attack. They go straight at the opposition, playing without fear or hindrance. Perhaps this is the energy of youth but it is also a reflection of the attitude of the area. Feyenoord see Ajax as Dortmund see Bayern and they tear straight for them to knock them off their perch. Feyenoord are a kind of Dutch Dortmund, and just as easy to watch, which is something I cannot advise you doing highly enough. The question for them next summer will be keeping hold of these prodigious talents. De Vrij has been linked with Bayern, Spurs and Liverpool, amongst others, whilst just about anyone who is anyone has been linked with Clasie. Janmaat has been heavily linked with Arsenal and it would be staggering if Boetius isn’t on the radar of every big club. By necessity the club will surely lose some of these but if the production line keeps producing then the renaissance in Rotterdam can continue. Maybe even to an Eredivisie title. In many ways, the bashing from PSV and the financial difficulty was just what this club needed. They had gotten separated from their own identity, a rugged working class port city club. The infusion of fearless local youth who personified this attitude has been a blessing, and one that might not have happened if they hadn’t had to. Feyenoord have re-found their identity and are on the charge.